Book now to get tickets at £18.00 each! We are delighted to be hosting another Witney Jazz Special following the huge success of our February event (The Music of Kenny Ball & His Jazzmen). This, we are confident, will be another memorable concert in the gorgeous surroundings of the Witney Corn Exchange, featuring a quintet led by the beautifully voiced Joanna Eden and multi-award winning reeds man Alan Barnes. 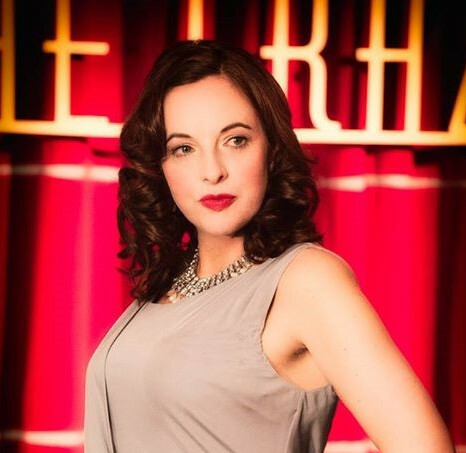 They will present their ’Embraceable Ella’ show - a very thoughtfully created tribute to possibly the world’s favourite jazz singer - Ella Fitzgerald - which has sold out at various venues across the UK, including London’s prestigious Ronnie Scotts Club. The quintet comprises Joanna Eden (vocals & story line); Alan Barnes (saxophones / clarinet); Simon Brown (piano keyboard); Paul Jefferies (double bass) & George Double (drums). Joanna Eden is an excellent pianist and an exquisite singer, composer and renowned vocal coach (she is the teacher behind chart topping Sam Smith and many other now highly successful vocalists). 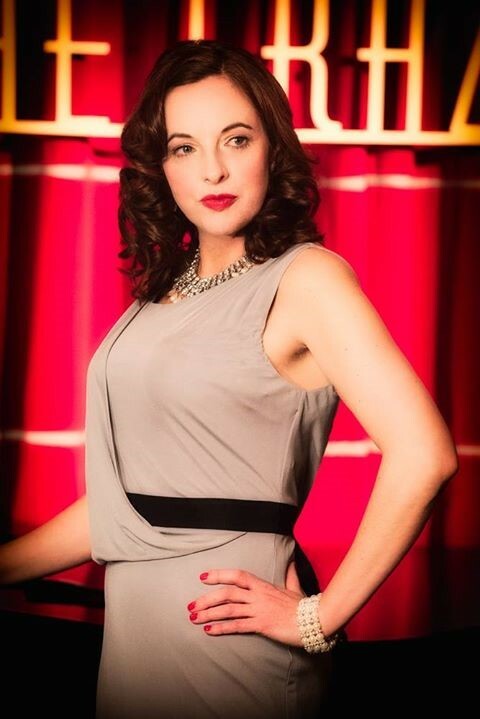 Joanna sings from the heart, with passion and meaning - you won’t catch her reading lyrics or just going through the motions - she’s one of a rare breed off singers who truly feel the music they sing and can lead their musicians from the front! Alan Barnes needs little introduction to jazz lovers - he’s a multi-award winning sax and clarinet player with a wickedly dry sense of humour who has graced thousands of stages during his 30+ year career and appeared on hundreds of brilliant recordings with jazz luminaries and stars from the worlds of Pop and Rock including Brian Ferry, Van Morrison and a raft of others. Joanna and Alan will be joined by pianist Simon Brown - a highly respected player who has worked with Joanna on this project for several years; superbly lyrical bassist Paul Jefferies and the excellent drummer George Double - another frequent visitor to the Ronnie Scotts stage. Please note payment will be required in advance to reserve seats for this concert. Walkups will pay the higher ticket price of £20.00. Internationally renowned trumpet player, but wow - what a voice! Trumpet player Damon who is these days based in Korea - is a trumpet player of distinction: fluid melodic lines, a gorgeous tone and ingenious phrasing mark him out as a player with an original style, one that truly engages the listener. In recent years he has added vocals to his already highly desirable performances but his is not just any voice, this sounds like Chet Baker but an octave or two lower in pitch truly mesmerising with a rare breathiness. 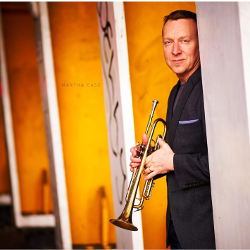 Damon will perform music that crosses the swing/bebop borders - expect a riveting concert from this trumpet ace with Alex Steele (piano), Paul Jefferies (bass) and Charlie Stratford (drums). 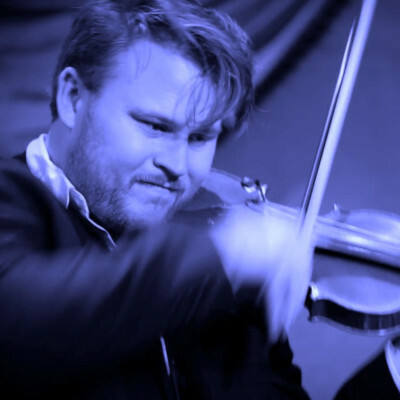 Rapidly gaining notoriety as one of the finest and most exuberant jazz violinists the UK has to offer and highly regarded internationally, this hugely talented musician, magician and tall story teller leaves audiences breathless and full of wonder at his immense energy and sheer musicality. Ben fills venues wherever he goes - performing as guest musician with rhythm sections across Europe and with his own ensembles - which include an all star quintet, a four piece of distinction and as a trio with long time collaborators Jez Cook (guitar) and bassist Paul Jefferies. These three know each other very, very well so musical communication between them is almost telepathic, but most critically this excellent guitar and bass rhythm section know full well how to push Mr Holder into violinistic acrobatics and then bring him back to earth with some of the most beautiful ballad playing you’ll hear. Ben will be presenting us with a smorgasbord of music from Gypsy Swing jazz through Benny Goodman and a fat slice of the Great American Songbook. Very tasty - but grab your tickets early as his shows always sell out. Forgive the highly expressive quote in our intro section, but this man Frank Harrison really is a game changing pianist and the pure emotional expressiveness he can create from the keyboard is truly moving. His favourite musical environment is the jazz piano trio (piano, bass and drums) so that’s what we have asked him to bring to Witney Jazz for this evening’s eagerly anticipated concert. Frank creates emotion through high dynamics and energetic tempos as well as harmony and haunting melodies that raise the hairs on the back of your neck. The thought that goes into each phrase played, the harmony used and the rhythms employed mark out this musician as highly musically emotional and the intensity that the Guardian referred to comes from the interplay between thought and hands - and it’s this that stimulates each musician to interact and respond. Expect jazz standards and melodies that you’ll know and love played with elegance and poise as well as some original pieces and some jazz treatments of powerful pieces like the the love theme fro Spartacus - a real treat in store with the exquisite Chris Nickolls on drums and a highly lyrical Paul Jefferies on upright bass. John Birks ‘Dizzy' Gillespie is perhaps best known for bringing the Latin rhythms of Brazil to New York and the world’s jazz scene, but he was also a brilliant be-bop and straight ahead jazz trumpeter - some say perhaps one of the greatest. A member of numerous early jazz orchestras he got his big break working with Cab Calloway and then worked with Earl Hines and Billy Eckstine. His compositions and his work with a ‘Who’s Who’ of USA and European legends defines him, as well as his trademark ‘bullfrog’ cheeks and strangely-angled trumpet horn. 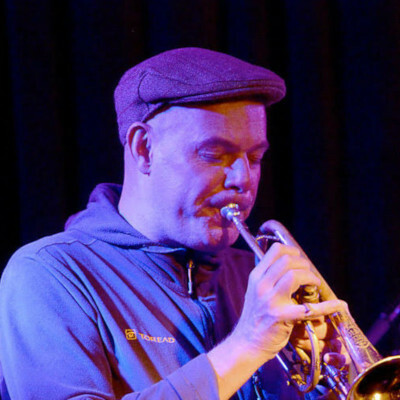 Stuart Henderson has a reputation as a great all round trumpet player - superbly competent on in all jazz styles and a successful band leader and educator. 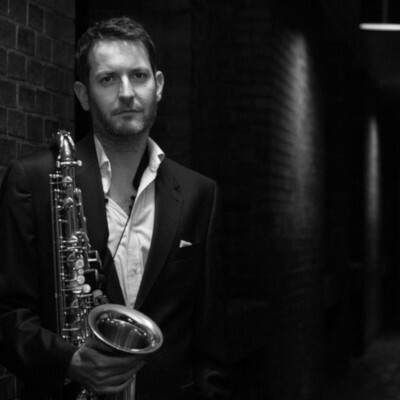 He beings a distinctive quartet to Witney Jazz to play a broad selection of the music that made ‘Dizzy’ such a household jazz name - with Pete Billington on piano, Paul Jefferies on bass and Simon Price on drums. 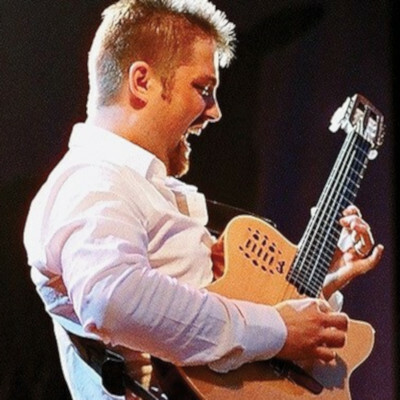 Nicolas Meier is a Swiss born guitar genius who continues to cross musical borders with every project he undertakes. 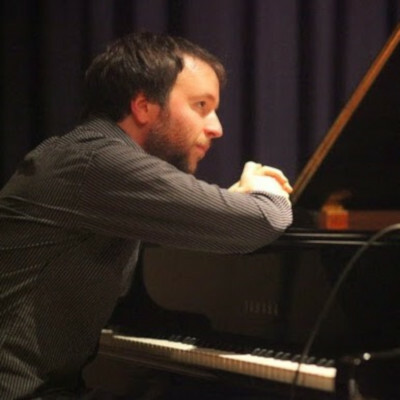 His music for this Witney Jazz concert features improvisation (a jazz must in our opinion) and hauntingly beautiful melodies influenced by his wife’s native Turkey mixed with Spanish & classical styles. Nicolas trained from a young age as a classical guitarist, first in his native Switzerland and later in Spain. A change in direction saw him invited to study jazz at the famous Berklee School of Music in USA and since his arrival in the UK, he has embarked on immersing himself - to critical acclaim from fellow musicians and the music press - in Jazz, Heavy Metal and Middle Eastern influenced music. In addition to making ten of his own albums - you’ll hear Nicolas recording or performing with Rachelle Farrell, George Duke, Macey Gray and he recently completed a huge tour with Jeff Beck. Playing alongside Nicolas will be Richard Jones on violin, the immensely talented percussionist Demi Garcia and Paul Jefferies on upright bass.